Because the team at Ice and Snow Technologies is comprised of snow industry and highway maintenance expert associates with over 100 years combined experience in winter operations and engineering we can quickly assemble a project staff to fill your needs. From arctic to highway engineering to winter operations and policy reviews, IST is your one-stop shop when you need to partner with the best consultants, engineers and trainers in the highway trades and snow business industry. 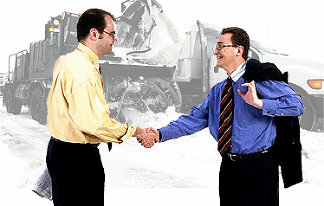 Let IST help you solve your winter operations challenges!